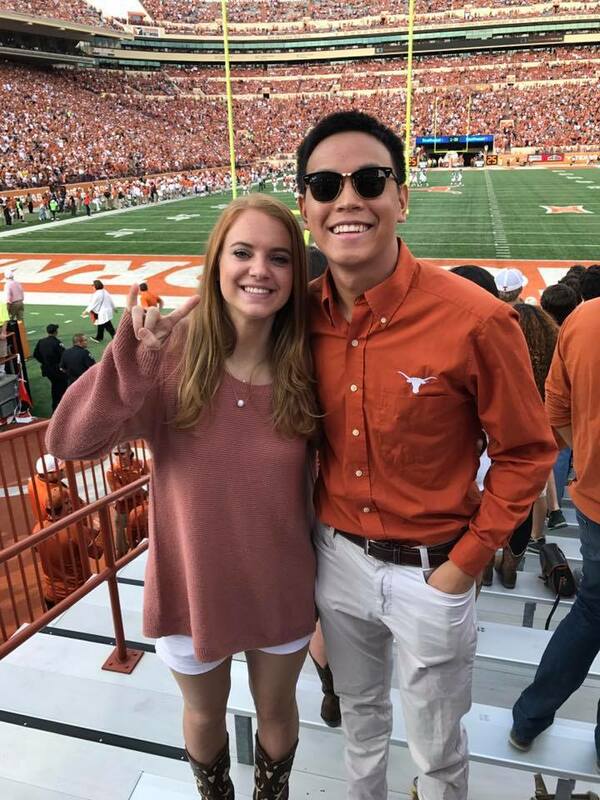 When freshman Hendrick Liaw set up the GoFundMe for Harrison Brown, the student who tragically died in the UT Austin knife attack, he never expected it to get so much attention. The fundraiser has hit $100,000 in donations from Longhorns and Americans across the nation, and it was only set up last night. Hendrick, 19, who is the latest member of his family to attend UT, explains how he got the idea to set up the Harrison Brown Memorial Fund, and the effect it’s had on the community. The reason why I started it is because I came home yesterday and I was really scared. I didn’t know about my safety, and I heard there were other people in harm’s way. I was sitting there and someone told me that Harrison passed away. I just felt so useless, sitting at my desk and not knowing what to do. Someone told me that they were going to plan a vigil. And right away, it clicked that we should do a GoFundMe. And I just set it up. It clicked and I worked on it for the next 24 hours. It wasn’t planned ahead, it was on the spur of the moment. I felt like it needed to be done. I never want to leave a fellow Longhorn behind. Even if I didn’t know who they were. In my opinion, I believe he would have done the same thing for me. So I did everything I could. How does it feel to have had the fundraiser take off like it has? UT is a close-knit community – people always say we’re a Longhorn family. Today and yesterday it’s really shown. It’s such a big deal. I did this because I wanted to find a way to help people. I can’t stress it enough it’s not me doing this, it’s everyone else that’s donating. Tell me about the huge impact it’s had so far. I didn’t realize the impact it was making. At first, the goal was at $10,000. I raised it to $25,000 then $40,000 and then $100,000 in an hour span because it was picking up. I was honestly just trying to help the family. That’s the important thing for me. I’m more grateful for that. I see people sharing it constantly and they’re bringing in thousands of dollars. It’s had a quarter of a million people visit the page. When I started the fund I just thought it would be the student body of the University of Texas and maybe Houston and Dallas donating. But UT isn’t just the state of Texas, it’s national. I’m so grateful to be part of the Longhorn family. What have people in the UT community said? Something at the start was my friend group supporting me, having that backing was really supportive. 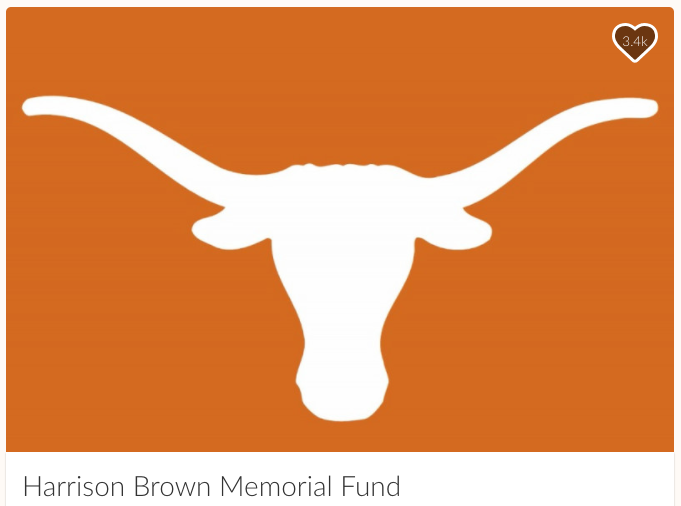 Right when I posted it, people in my Class of 2020 group chat were saying: “Thank you for doing this, thank you for representing the UT community.” At that point I knew it wasn’t about me – it was never about me – it was about the Harrison Brown Memorial Fund. That’s why I really involved myself, I stayed up really late last night on this. I was just trying to represent the Brown family to the best of my own abilities. When people were writing comments and asking questions, I was trying to give answers to the best of my knowledge. What happens next when the fundraiser reaches its goal? We don’t want to intrude on the family, we want to give them their space and respect them now. So once the fundraiser hits $100,000 – and it’s allowed to exceed that goal – and then I’ll give the money over to the family when they’re ready to collect. I think that it’s amazing to be a part of this, I’m glad to be doing it. This was the moment I was really proud to be a Longhorn, knowing how close our community really is. Donate to the page here. Thank you so much for writing about the Harrison Brown Memorial Fund. I wanted to update you that we toppled our $100,000 goal within 23 hours, and donations are still swiftly coming in. Hendrick, who you talked with earlier, created the page through his role with the Interfraternity Council (IFC). I wanted to pass on this statement of gratitude we sent out this evening.